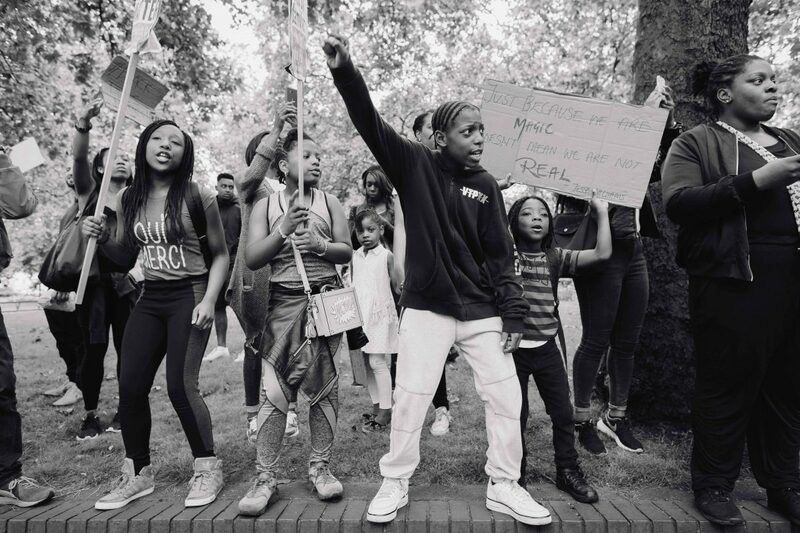 Last week, as the Black Lives Matter movement approached its third anniversary, Shane Vincent was in the streets of London watching it take hold around the world. 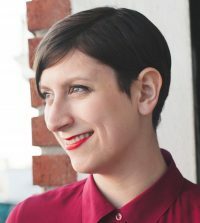 He was photographing a protest in London, one that came just weeks after the UK’s decision to exit the European Union exposed stark differences in how UK citizens view the future of their country. 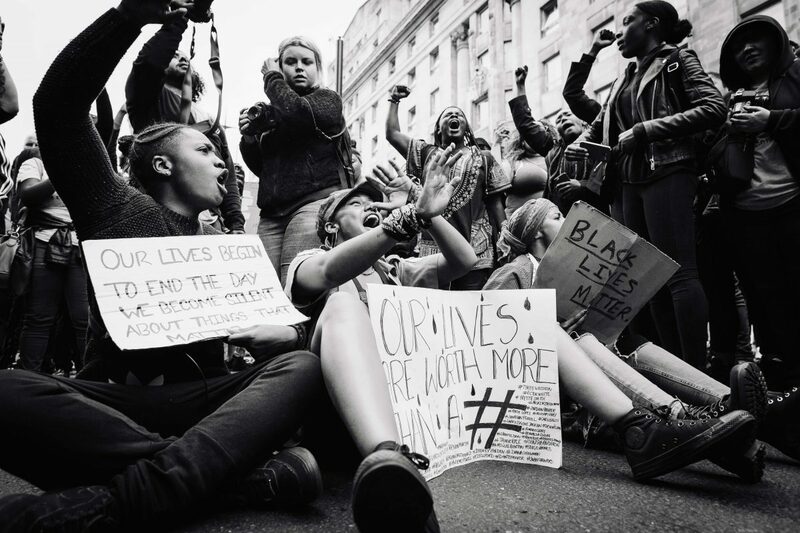 Recent police killings — such as the shooting deaths of Philando Castile in Falcon Heights, Minnesota, and Alton Sterling in Baton Rouge, Louisiana — have inspired protests throughout the country and beyond U.S. borders. 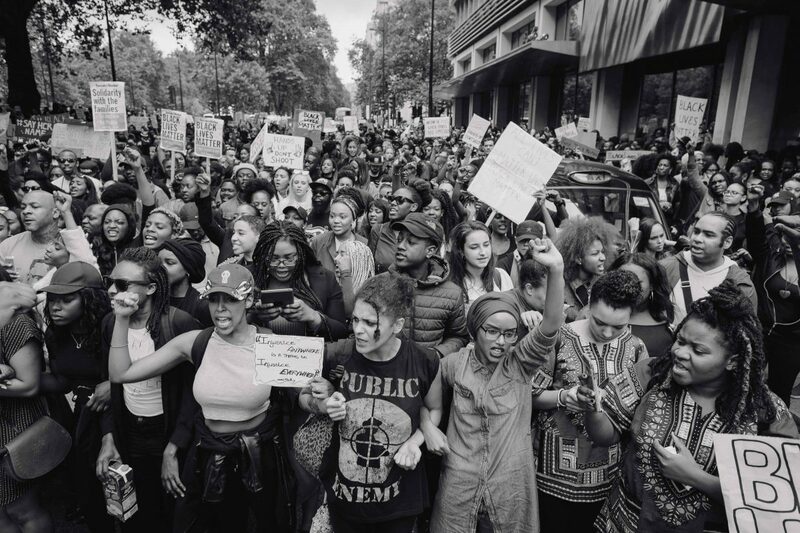 This month, demonstrators in Britain, Germany, South Africa, the Netherlands and Canada have held marches against police violence. 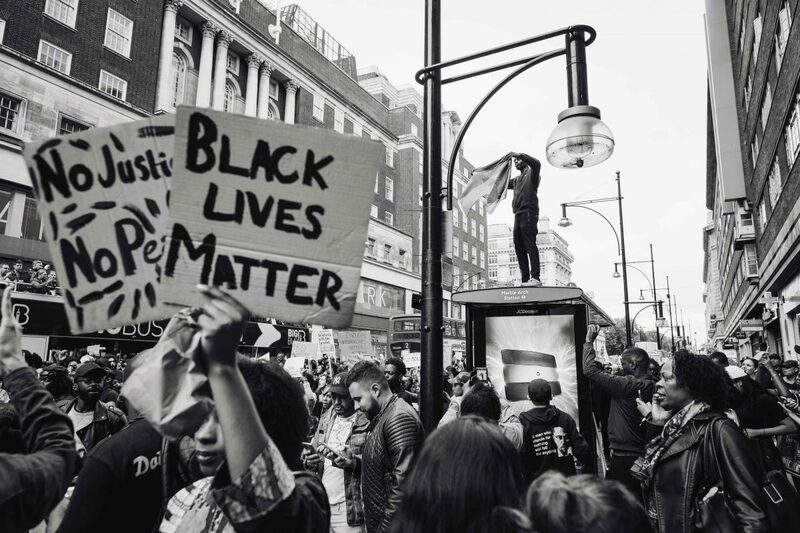 In London, where Vincent joined a protest on July 10, police shootings are rare. The Washington Post’s Griff Witte wrote in June 2015 that police shot and killed two people over the previous three years. But Vincent, who uses the name Vincentchapters in photography, said the protest reflected the current mood of “frustration” among the city’s youth that followed the Brexit decision and news of police violence in the U.S.
“With much of the youth voting to stay in the EU, with the opposite happening, and being exposed to injustice through police brutality across social media, there’s a lot of passion and frustration in the air,” Vincent said in an email to the NewsHour. Vincent said he felt a sense of solidarity in the crowd during the marches. 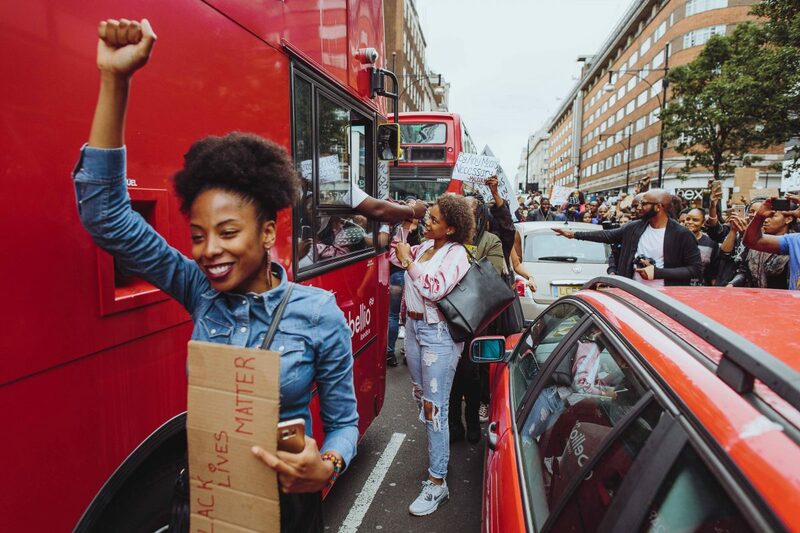 “When we were marching down Oxford St., a lot of the bus drivers were beeping and putting their fists up in support of the people. It felt like the city just understood and came together,” Vincent said. 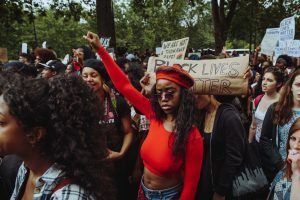 “By these people coming here to stand and unite, they are showing that they are against police brutality and that’s the most important thing,” she said. Vincent said his favorite photographs showed the energy of young people involved in the protests. 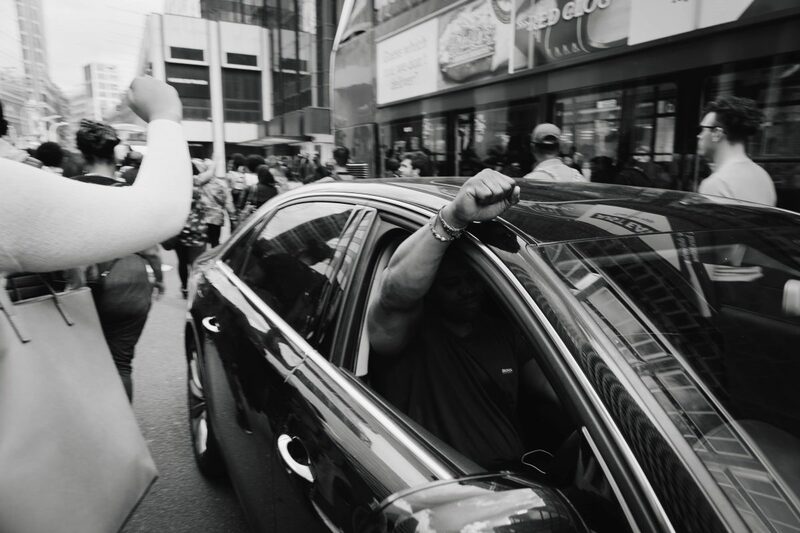 “It was beautiful to see the youth coming out passionately and peacefully fighting for justice,” he said.